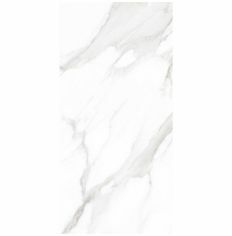 Extremely durable glazed porcelain tile with a realistic marble look. 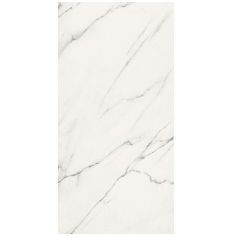 The colour and pattern variations of the striking grey veins create a classic representation of the popular Italian marble Statuario. 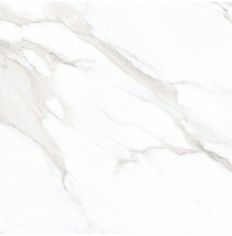 Finished in a high gloss, the impressive Statuario Mercury tile will provide a wow-factor in any area of the home. This grand look is often used for contemporary living spaces but is equally suited for a traditional style. 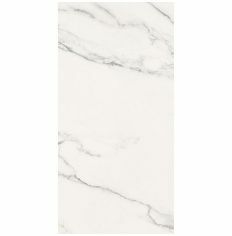 The rectified tile is suitable for use on both walls and floors. Also available in rectangular formats 30 x 60cm and 60 x 120cm.